Louis R. Ramirez, 95, of Fremont, OH passed away on August 4, 2018 at Stein Hospice in Sandusky, OH. 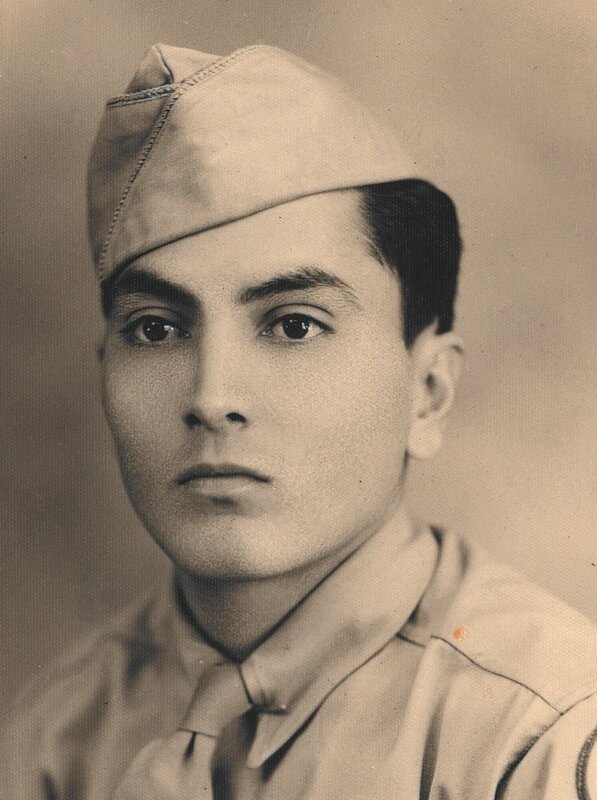 He was born on August 14, 1922 in Pearsall, TX to Modesto and Nestora (Recio) Ramirez. Louie served in the US Army during WWII from 1942 – 1946 and was awarded the Purple Heart; American Campaign Medal; European African Middle Eastern Campaign Medal with 2 Bronze Stars; WWII Victory Medal and Good Conduct Medal. Louie married Marjorie A. Peters on March 15, 1946 in Findlay, OH and she preceded him in death on July 31, 2011. He was a machine operator at Whirlpool for thirty-five years until he retired on January 1, 1988. Louie was a life member of the Fremont V.F.W. He enjoyed walking, working in his yard but most importantly he loved to spend time with his family. Louie is survived by his children, Louis (Judy) Ramirez Jr. of Belleview, FL, Carol Norman, Bettsville, OH, Colette (Dan) Runion, Clyde, OH, Harold Ramirez, Inverness, FL, Kimberly (Russ) Beaver of Port Clinton, OH and Dane (Diann Wollam) Ramirez of Fremont, OH; eleven grandchildren; eleven step grandchildren; sixteen great grandchildren; twenty-two step great-grandchildren and fourteen step great-great grandchildren. He is preceded in death by his parents; brothers, Luciano (Maria), Salome (Delia), Pedro (Marjorie) and Nicolas Ramirez; sisters, Romaona “Yaya” (Fernando) Trevino, Antonia (Edwin) Taylor, Vincenta “Chita” (Gabriel) Morales and Rogacion (Manuel) Mercado; sons-in-law, Ronald E. Young and Grady Norman and two grandchildren. Visitation: Wednesday from 1 to 7 p.m. at Wonderly Horvath Hanes Funeral Home and Crematory, 425 E. State St., Fremont, OH. Funeral Service: Thursday, August 9, 2018; 11:00 a.m. at the funeral home with Certified Funeral Celebrant Susann Robitski Zimmerman officiating. So sorry to hear of his passing my thoughts and prayers are with you all during this time! With hugs and love. I AM VERY SORRY FOR YOUR LOSS. WHAT A BEAUTIFUL VIDEO! MAKES ME SAD BUT ALSO REMINDS ME OF THE FUN TIMES WITH YOUR FAMILY AND WITH LOUIE, WHO WAS THE ALL-AROUND FAMILY MAN!